Uncategorized New Horizons Has Launched! New Horizons, Host Saga Book 4 has launched and is ready to read! While I worked hard on the three previous books, there was a lot more work done on Book 4. For one thing, it is longer. 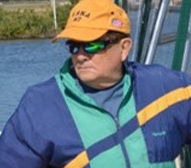 And, I think the characters take on new strength thanks to my editor Tammy Salyer. 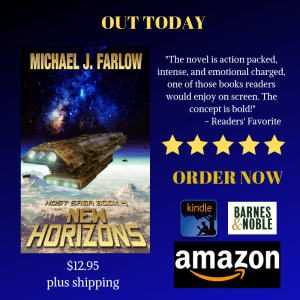 Starting RIGHT NOW, New Horizons is available on Amazon in both print and eBook format. And, for the first time one of my books is being distributed worldwide by Ingram which includes, Barnes and Noble as well as libraries and bookstores everywhere. If you don’t see it at your favorite book store or library, demand it! Many thanks to all who have helped the book get to this point, especially author Danielle Vann. Tell a friend, share the good news!